Dreamy yet dramatic, Dorset combines the rolling hills of Thomas Hardy Country with the towering cliffs and hidden coves of the awesome Jurassic Coast – making it a destination that will suit both adventurous travellers and those who are desperate to get far from the madding crowd. Lose yourself in the wilderness, try sailing or kayaking, go walking along the coast, or head off on a driving tour of some of Dorset’s most charming, picture-postcard perfect villages. Then, when the sun sets, you can either retreat to your room at one of the region’s finest boutique hotels, or head out first to spend your evening in a funky waterfront bar or a gastro pub. Whether you’re combing the scenic coastline for fossils and dinosaur bones, touring the Tank Museum in Bovington, or tucking into fresh seafood at one of Dorset’s most famous eateries, this is a region that will remain stamped forever on your memory. It boasts some of the mildest year-round temperatures in Britain, too, plus there’s a superb choice of boutique accommodation where you can relax and recharge your batteries ready for your next day’s adventures. Perched on a gentle slope commanding far-reaching views over stunning Thomas Hardy country, Wooden Cabbage House is an elegant boutique B&B in a peaceful, rural setting just a mile from the village of Halstock in West Dorset. Each of the rooms in this renovated and extended gamekeeper’s cottage has been individually designed and are packed with style and character. After a restful night in this peaceful setting you can fill your boots with their gourmet breakfast, packed with locally-sourced produce, before setting out on a country walk through the surrounding woods and valleys. Literary fans can immerse themselves in a Thomas Hardy experience at the honey-coloured 16th century Acorn Inn, which the author wrote about in his famous novel Tess of the d’Urbervilles (although it was referred to in the book as “The Sow and Acorn”). Found in Evershot, the second highest village in Dorset (“Evershed” in Hardy’s novels), this traditional coaching inn is crammed with character, featuring old beams, oak panelling and flagstone floors with fires roaring during the colder months. 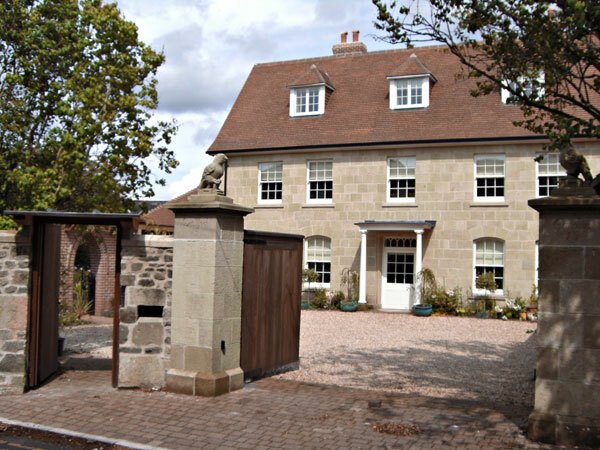 Family- and pet-friendly, the inn has 10 luxurious, individually-designed rooms, each with a Thomas Hardy-themed name, and guests can enjoy seasonal dishes downstairs in the award-winning restaurant. If you’re environmentally conscious and would like to take a break that minimises your carbon footprint, you could stay near Blue Flag beaches and enjoy the hustle and bustle Bournemouth at The Green House (****), a lavish, eco-friendly Grade II Victorian villa in the heart of the seaside resort. The 32 boutique rooms are tastefully furnished with bespoke, hand crafted furniture made in the UK using natural and sustainable materials. The hotel’s green stance does not mean guests have to compromise on comfort, either: the rooms have organic bed linen and luxury toiletries, while downstairs their creative restaurant serves delicious local and organic produce. Bournemouth’s railway station is less than a mile away, so travelling there by train is a viable option if you are happy to get about on foot or by public transport during your stay. And green initiatives seem to be genuinely at the heart of everything this establishment does – from using the sun to help heat their water right through to choosing wallpaper that is Forest Stewardship Council-certified and made in the UK using vegetable inks. 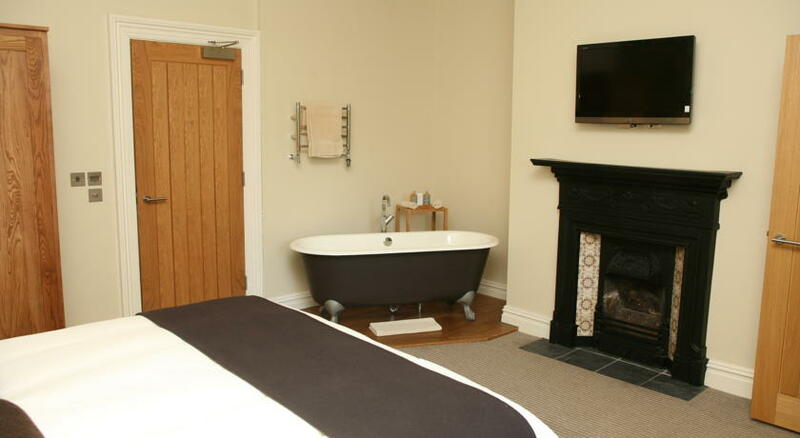 Ornate fireplace and freestanding bath in one of The Green House’s tastefully designed bedrooms. In hip Bridport – two miles from West Bay, home of hit British TV series Broadchurch – The Bull Hotel (***)‘s striking blue façade is hard to miss. With 19 boldly decorated boutique rooms, the interior of this 16th century building has been given a contemporary twist, in keeping with the cool vibe of the town. You will still spot many of the building’s historic features, but these sit side by side with statement wallpapers, bold paintwork and art pieces from local artists. Some of the 16 rooms boast indulgent roll-top baths and four-poster beds, and many enjoy some superb views of the town. In scenic Bridport you’ll be surrounded not only by quirky independent shops, and a vibrant antiques and vintage quarter, but also some top fossil-hunting beaches such as Charmouth. This Georgian coaching inn also has its own restaurant, and serves up late-night cocktails in its speakeasy-style bar, while the Ostler Room treats guests to table football, giant beanbags and a Nintendo Wii. In the medieval hilltop town of Shaftesbury – home to Gold Hill, the steep cobbled street immortalised in the 1970s by the Hovis advert – The Grosvenor Arms (****) is a traditional Georgian building that has been transformed into a trendy hotel with a courtyard garden, a ballroom, free WiFi, and 16 rooms. All of the rooms are smart and comfortable, and each has its own iPod dock, coffee maker and some other nice extra touches – but Junior Suite 9 is the one to pick if you want a balcony overlooking the central courtyard, while the Cranborne Suite is a cosy retreat during the winter, with its own fireplace, a giant shower room (that really is a room, not a cubicle), and an elegant free-standing bath. Shaftsbury itself is an idyllic base for country-lovers, and the inn has a central location close to the town’s main sights (including Gold Hill). There downstairs restaurant is chic but relaxed, serving straightforward but well-executed dishes including grills and pizzas from a visible wood-fired oven. 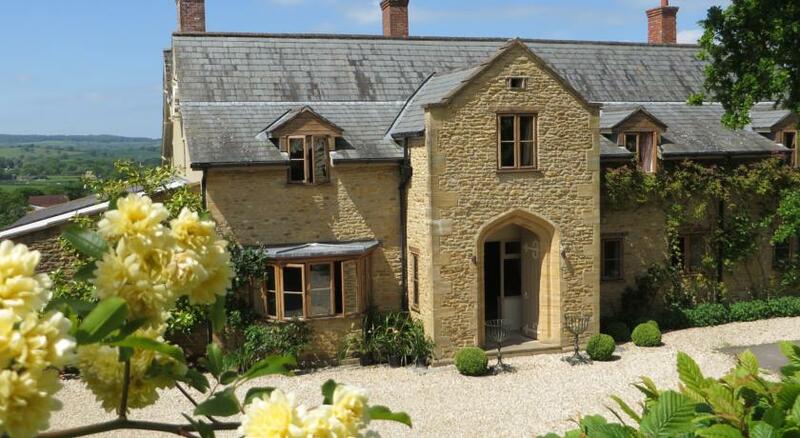 Also in picturesque Shaftesbury is the luxurious Walled Garden boutique bed and breakfast. 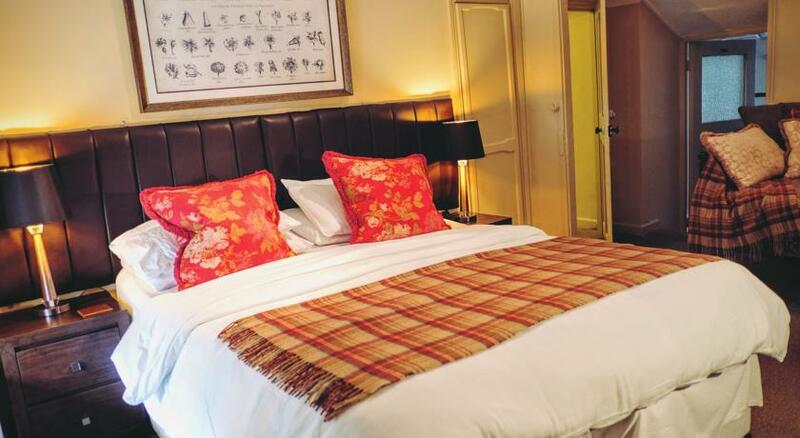 Owners Gary and Phil have created a memorable place to stay with three very distinct themed bedrooms: the Bali Room, the Victorian Room and the Chrysanthemum Room. Each of the rooms has been thoughtfully and individually designed, creating a calming oasis in the quiet old centre of Shaftesbury, which is close to the borders of Wiltshire and Somerset. Walled Garden also benefits from a secluded garden with koi pond, secure off road parking and a private roof terrace where those seeking an all over tan are very welcome. If you’re seeking peace and quiet in picture-perfect Dorset, you can find your escape at The Hambro Arms in the rural village of Milton Abbas. 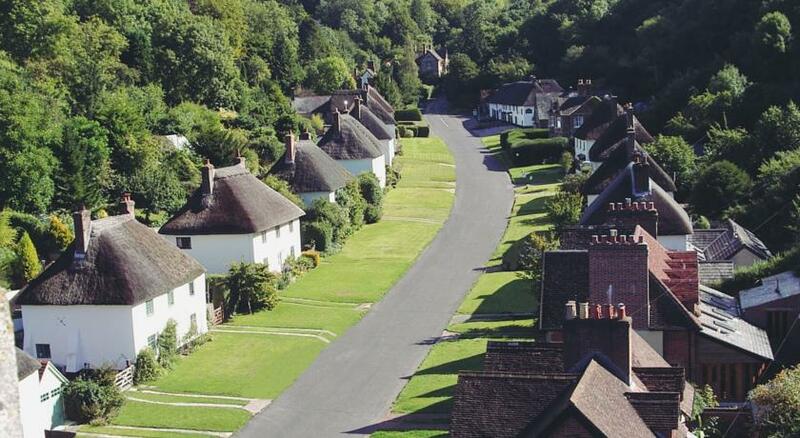 Well known for its pretty thatched cottages (pictured top) and picturesque, wooded surroundings, this historic village is a great walking base for exploring the Blackmore Vale, while the coast at Poole is about half an hour’s drive away. In keeping with its setting, the hotel has named each of its rooms after historic figures who had a key role to play in shaping the village, and guests can expect to sleep in a king-sized bed with Egyptian cotton sheets before getting up to a full English breakfast served in the lovely Library Restaurant. Working with local suppliers to source fine produce and ingredients, all of the food on the ever-changing lunch and dinner menus is home-made. King size beds with egyptian cotton sheets at The Hambro Arms in Milton Abbas. Header photo credit: Hambro Arms, Milton Abbas.